Explores strategies and adaptions to teaching practices that will support participants. This workshop will enable you to identify key characteristics of learning difficulties that can impact on a participant’s ability to learn to swim. It gives examples of good practice as well as strategies and adaptions to teaching practices that will support participants. You will also be able to signpost children to the right environments to meet their needs and help them achieve their potential. Face to Face – 4 hour theory based seminar with activities encouraging group participation and checks on learning. 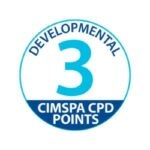 The CPD is for Swim England Level 2 swimming teachers.